This hearty soup can be a meal all by itself, full of beans, pasta, and vegetables, all made in one pot in less than 30 minutes. 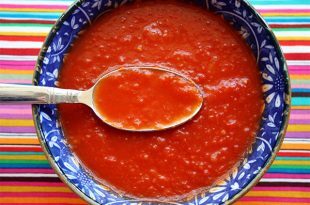 With just a few simple ingredients, make delicious & healthy tomato soup in 30 minutes. Adding a touch of cream = cream of tomato soup. 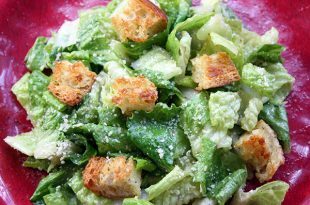 Anyone can make restaurant style Caesar salad at home with my easy recipe for this classic anchovy-garlic dressing. 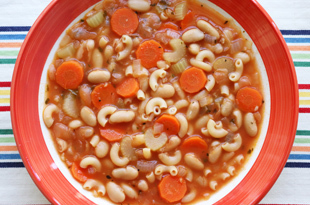 Here’s a fast and easy hearty soup you can make with just a few basic ingredients. 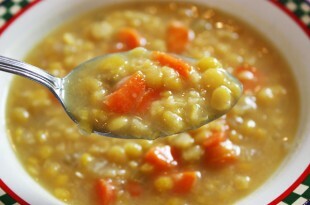 Pea soup has lots of minerals, fiber and protein. And it’s fat free. So many cancer superfoods in one bowl: broccoli, cabbage, carrots, cauliflower, kale and tomatoes. 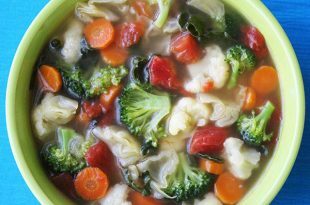 Make this easy vegetable soup in 30 minutes. 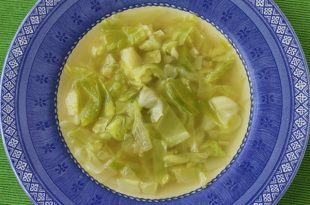 My cabbage soup is so easy to make, absolutely anyone can make this healthy, beneficial, cancer-protecting soup. Start-to-finish: less than 20 minutes! This salad is my “Health Insurance Policy” and a part of every meal I prepare at home. 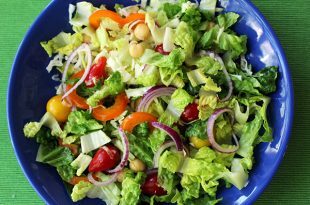 It’s full of high antioxidant vegetables and a simple olive oil vinaigrette. You don’t need mayo to make a creamy, healthier potato salad. My secret: adding a little mashed potato to the dressing. 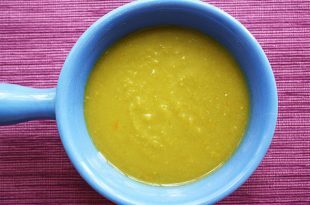 A simple soup full of wound healing properties for anyone recovering from injury or surgery. Make it in 30 minutes. 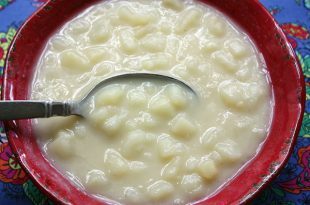 If eating is difficult, just puree the finished soup. 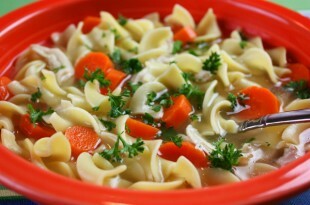 Chicken, aromatic vegetables, and spices simmer on the stove for the most amazing chicken soup. I freeze it in ice cube trays to use in other recipes. 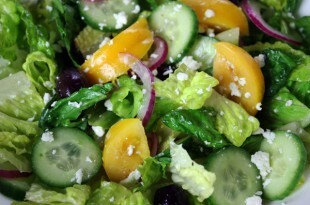 Authentic Greek salad with crisp romaine lettuce, Persian cucumbers, colorful tomatoes, and sweet red onions, topped with kalamata olives and feta cheese. 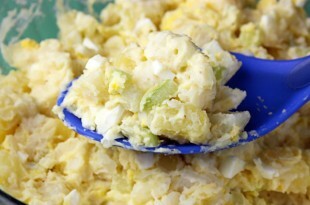 Old fashioned potato salad just got a Jenny Jones makeover. 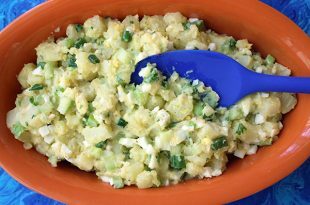 See how to make a light & tasty low-fat dressing and my trick for infusing the potatoes with even extra flavor. Mine is a healthier and simpler way to make this hearty, satisfying soup that requires only a few ingredients. Make it from scratch in less than an hour. 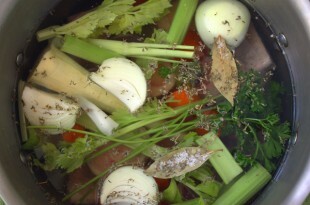 Rich and flavorful beef stock is so easy to make and you can never buy one as good as homemade. It’s what I use to make that amazing beef stew. This thick and hearty soup is unbelievably easy to make. 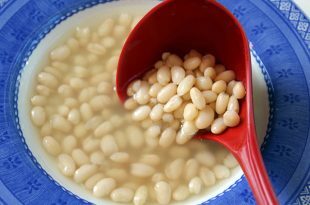 Using dried beans results in the meatiest tasting beans. This simple recipe takes no work at all. 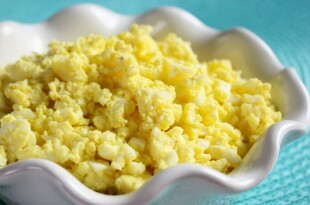 It’s my simple, low fat egg salad but you can start with mine add more stuff if you like. Try an egg salad sandwich on whole grain bread with lettuce & tomato for breakfast. Yum! 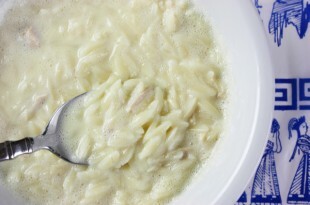 This foamy, creamy Greek style chicken soup is flavored with fresh lemon juice and thickened with an egg. Served with rice or orzo, it’s super easy to make. With this many vegetables in one bowl, you won’t need to take your vitamins. 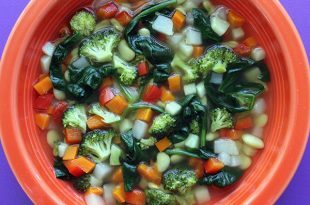 If you have a stock & chopped veggies, it only takes 10 minute to cook. 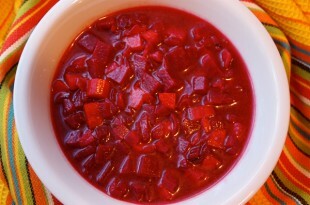 Borscht may be better than chicken soup for recovering from a cold or dehydration. 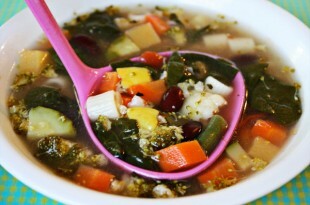 I always devour this complex and delicious soup full of health building minerals. My mouth waters when I think about making this awesome salad. 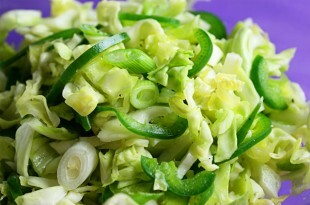 My recipe uses spicy jalapenos and fresh-squeezed lime juice dressing. Add Tabasco if you dare. 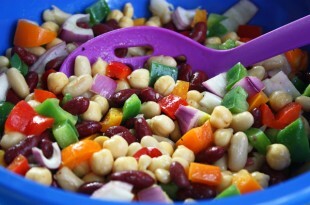 So much goodness in this bean salad. The rainbow of peppers adds antioxidants galore and beans add protein, fiber, and calcium. Easy to make – yummy to eat. 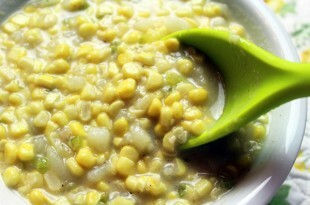 When sweet summer corn is in season, make this easy soup. It’s low in fat, high in fiber, and takes just 30 minutes, start to finish. 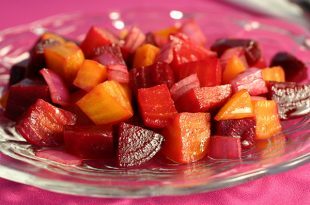 Beets have too many health benefits to name. 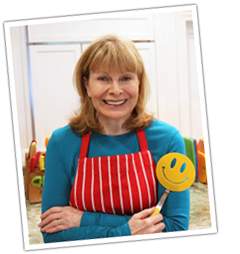 My easy recipe uses a marinade of fresh orange juice, olive oil, and balsamic vinegar. Serve hot or cold.